Ocean Ride’s eleven (11) deviated fixed route vehicles are lift-equipped and can accommodate the needs of persons using mobility devices such as wheelchairs and motor scooters. We ask that you contact Ocean Ride the day before to your trip to inform us of your trip. Schedules are also available at the County Connection, located in the Ocean County Mall, near JC Penney. For further information regarding Ocean Ride Bus Routes, Call 732-736-8989 then press 4 to speak to a Supervisor. Bus Fare: Discounted fares are $1.00 for seniors (age 60 and over) and/or persons with disabilities (age 18 and over) and also college students. $2.00 for the General Public. Maximum of two (2) bags. Portable shopping caddies are welcome. 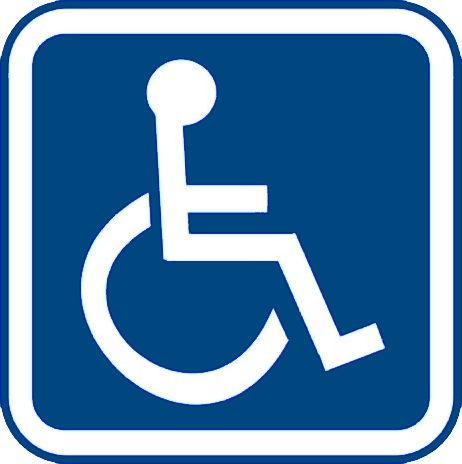 All vehicles are wheelchair accessible. Route 37 Service Lavallette to Toms River. Route deviation is available to riders up to one block of either side of the printed bus route where conditions allow. Limit of one deviation per trip will be honored. Riders must call Ocean Ride 24 hours in advance (732) 736-8989, then press “4” for a Supervisor. Ocean Ride reserves the right to authorize appropriate route deviation requests, subject to local regulations. Drivers cannot make unscheduled route changes. The Ocean County Department of Transportation Services (Ocean Ride) will make a reasonable attempt to provide additional assistance requested by any passengers with disabilities so as long as the request does not present a direct threat of safety to the passenger(s) and/or the county employee and/or the request does not alter the fundamental transportation services provided by the County of Ocean. To make a “Reasonable Modification” request, you must call a day in advance of travel and contact Ocean Ride at (732) 736-8989, Ext. #5908 to make the request. For up-to-date service information and Inclement weather conditions for service, visit and “Like” us on Facebook. Ocean Ride operates its programs and services without regard to race, color, or national origin in accordance with the American Disabilities Act of 1990, as amended. Any person who believes that she or he has been aggrieved by any unlawful discriminatory practice under the ADA may file a complaint in writing to Ocean Ride. To file a complaint, or for more information on Ocean Ride’s obligations under ADA write to: Ocean Ride, P.O. Box 2191, 1959 Route 9, Toms River, NJ 08754-2191. Transportation services provided by this agency are in whole or part funded through federal funds received through NJ TRANSIT and as an individual you also have the right to file your complaint under ADA to both Ocean Ride as well as the U.S. Department of Justice, 950 Pennsylvania Avenue, NW Civil Rights Division Disability Rights Section – NYA, Washington, D.C. 20530. A complaint must be filed within 180 days of the alleged discrimination. If information is needed in another language, contact (732) 736-8989, ext. #5919. To make a “Reasonable Modification” request, you must call a day in advance of travel and contact Ocean Ride at (732) 736-8989, Ext. 4. Ocean Ride is committed to ensuring that no person is excluded from, or denied the benefits of our services on the basis of race, color or national origin as protected by Title VI of the Civil Rights Act of 1964, as amended. Any person who believes that they have, individually, or as a member of any specific class of persons, been subjected to discrimination on the basis of race, color, or national origin, may file a complaint in writing to Ocean Ride. To file a complaint, or for more information on Ocean Ride’s obligations under the Title VI call Ocean Ride at (732) 736-8989, ext. #5919 or write to Ocean Ride at 1959 Route 9, P.O. Box 2191, Toms River, NJ 08754-2191. Transportation services provided by this agency are in whole or part funded through federal funds received through NJ TRANSIT and as an individual you also have the right to file your complaint under Title VI to the Federal Transit Administration, Office of Civil Rights, Attn: Title VI Program Coordinator, East Building, 5th Floor – TCR, U.S. Department of Transportation, Federal Transit Administration, Office of Civil Rights, 1200 New Jersey Avenue, SE, Washington, DC 20590. A complaint must be filed within 180 days of the alleged discrimination. If information is needed in another language, contact (732) 736-8989, ext. #5919.